Bailey 23's Story . 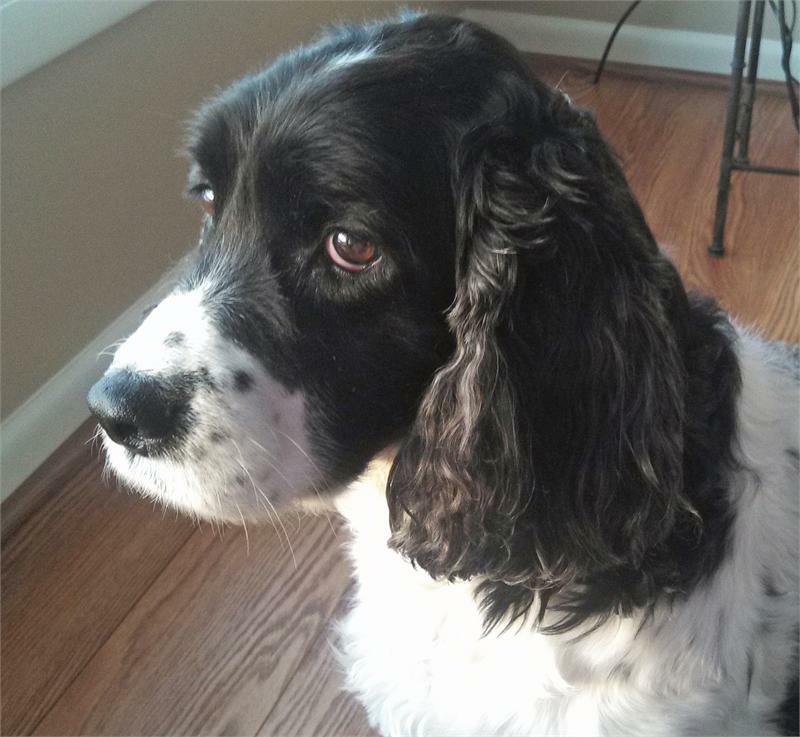 . .
Bailey 23 lived in a Pennsylvania home with her littermate brother Jake 28 for eight years. When their owner needed to relocate, MAESSR was called upon to help him find new homes for the siblings. 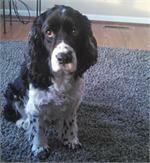 This middle-aged gal is sweet, loving and a typical Velcro Springer who just wants to be near her human. 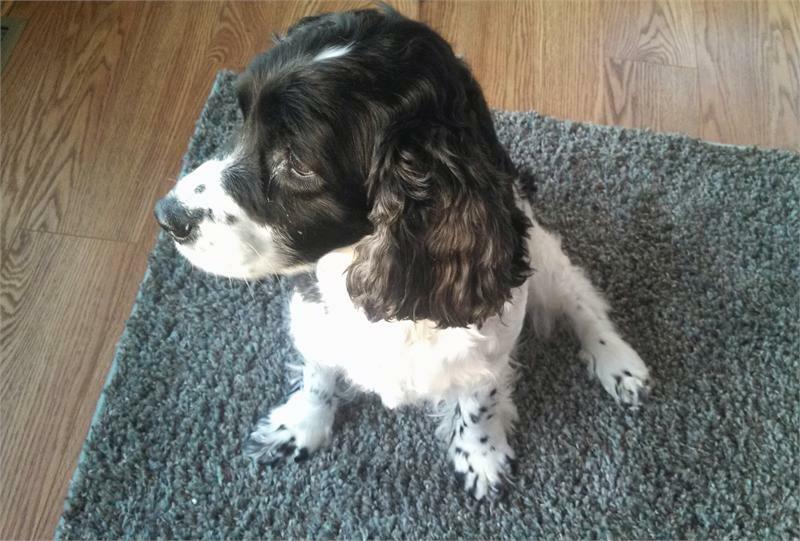 While she will be shy and timid with newcomers, she loves attention and affection and enjoys spending time with her 10 year-old human foster brother. After a getting-to-know-you time, she is doing well with the four resident dogs in her foster home. Bailey is learning to use a crate (sometimes a slight nudge is needed) when no one is at home, but at night she likes to sleep on a blanket right next to her foster parents’ bed. This very slim lady is on a new diet, gaining some weight and becoming more reliable in her toilet habits with help from the schedule her folks are teaching her. She knows just a few commands but being a quick learner, she is working on more. And, as a well-mannered sweetheart, she does not counter-surf or trash dive—what a good girl!! A young at heart girl, Bailey loves to be in the field or woods and is happy just to be outside. Off leash, she comes when called and needs just a bit of practice to walk along nicely on leash. While Bailey carries things in her mouth, she does not really play with toys; she may just need some time to discover what fun human friends, dog friends, and toys can be! Bailey will be looking for a home and parents who will provide her with some socialization and help her adjust to a regular family routine. What a wonderful addition to that family this young lady will make! !